Michael Horn is a co-founder of the Clayton Christensen Institute and serves as the executive director of its education program. He leads a team that educates policymakers and community leaders on the power of disruptive innovation in the K-12 and higher education spheres through its research. His team aims to transform monolithic, factory-model education systems into student-centric designs that educate every student successfully to his or her full potential. In 2008, Horn co-authored the award-winning “Disrupting Class: How Disruptive Innovation Will Change the Way the World Learns” with Clayton M. Christensen and Curtis W. Johnson. The Institute is a “brainstorm” dedicated to improving the world through disruptive innovation. 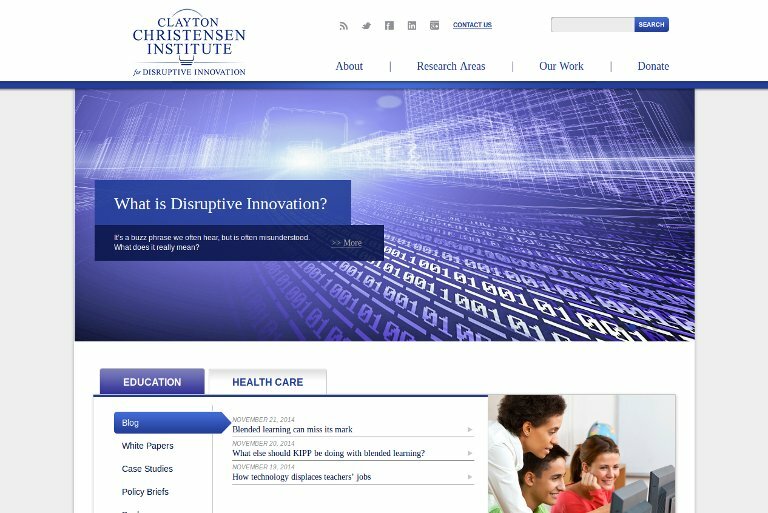 Founded on the theories of Harvard professor Clayton M. Christensen, the Institute offers a unique framework for understanding many of society’s most pressing problems. Their mission is ambitious but clear: work to shape and elevate the conversation surrounding these issues through rigorous research and public outreach. The heart of their approach is using theories to show how innovation can drive the answer to many of society’s most vexing problems. They use Christensen’s theories to conduct ongoing research and then promote these ideas to policymakers and other stakeholders to drive change. The theory of disruptive innovation actually describes a process by which a product or service transforms an existing market by introducing simplicity, convenience, accessibility, and affordability. Their “jobs-to-be-done” framework emerged as a helpful way to look at customer needs by focusing on their fundamental motivation. Finally, “blended learning” is, in essence, any formal education program that combines online learning and brick-and-mortar schools.